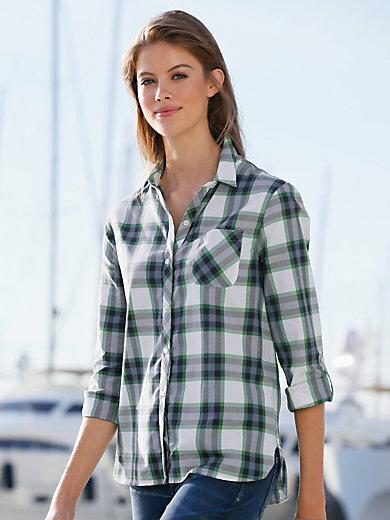 Blouse by BARBOUR in soft cotton fabric with a checked pattern. A stylish combination piece, ideal for smart leisure looks. Shirt-blouse cut with chest pocket, side slits, and back box pleat. Hem slightly longer at the back. 100% cotton. Length approx. 28 ins. Machine wash.